Where do I find story ideas? It’s the most common day-to-day and semester-to-semester inquiry from students at the Innovation News Center at the University of Florida’s College of Journalism and Communications. We have a 100-seat working public media newsroom, and there are hundreds of new names, faces and ability levels each year. The one constant among them is the difficulty of finding and pitching interesting stories. Our region of Florida in and around Gainesville offers a slower and more rural news market than the bustling south or central parts of the state, but as my colleagues and I often remind young reporters, that doesn’t mean there aren’t dozens of stories waiting to be told each day. We, too, have struggled in the past to connect with a disparate and varied audience that ranges from south of Jacksonville to north of Orlando. Listeners’ curiosities about their communities had infrequent presence in the work we did. Beginning 18 months ago, we saw a way to change that and, at the same time, provide our students with real story ideas from real people. I reached out to Jennifer Brandel, who co-founded a company called Hearken. The company’s name has by now become well known in the growing area of what her team calls “public-powered journalism.” In essence, they suggest breaking out of the typical daily news pattern by asking your readers and listeners what stories they want to see. I like to think of it as a tip line on steroids, with the key differentiator being its ability to harness community curiosity instead of audience anger. Hearken in early 2016 allowed us a three-month trial to test its software that helps journalists better connect with users who are already armed with questions. First, we needed a name. I liked the alliteration and geographic expansiveness of Find Out Florida, so with a basic logo, tagline and landing page, we had it launched within a week or two. Next, the questions. Hearken’s team encourages a multi-faceted approach to gathering questions. Solicit them online, sure, but also in person. To aid in the first, we started asking for submissions through our daily newsletter, The Point. That was an immediate success, as dozens of questions—some better than others—came pouring in. I enabled a webhook that pulled new questions directly into our Slack channel where we discuss story pitches. We ran radio promos at the end of some hourly newscasts, directing people to visit our landing page. And on a windy Sunday afternoon, I hung outside a local library branch with a clipboard and approached as many people as I could. The biggest hurdle in eliciting curiosities I faced was explaining the project’s mission before someone walked away or thought I was trying to sell them something. Yes, I insisted, a public media station wants to know what the public wonders. Equipped with enough viable audience-generated questions, we let students start picking and pitching Find Out Florida queries. That was a minor mistake. In the first Monday morning pitch meeting following the series’ launch, we had six reporters; each of them intended to pursue a story for Find Out Florida. Oops. We diversified the assignments that morning with some news-of-the-day stories, and by the end of the week, we published and broadcast our first answer. Our part of the state is known for its nature and thousands of environmentally-conscious public radio supporters, so it was not a surprise that the first story was about development and tree removal. In the following weeks, we had a more balanced number of students pitching and reporting Find Out Florida stories, and the workflow generally allowed for at least a story per week during the first semester. We answered questions about sidewalks to nowhere, the dearth of prosthetics training programs in the state, and Zika virus prevention efforts in our area. 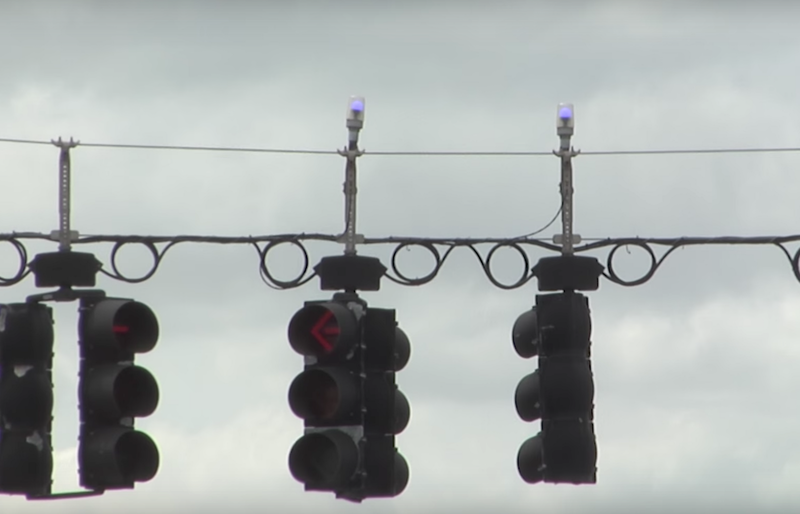 One story, explaining the blue lights atop traffic signals, continues every few weeks to attract viral traffic from some social or search corner of the web. The blue traffic lights explainer: a random viral success. The biggest benefit of this series is that it stretches cross-platform boundaries. The University of Florida owns a dual-license for a public radio and television station, so news stories reported by an individual or small team of reporters is our weekly holy grail. All stories have a presence on our website, WUFT.org, and many of them touch the airwaves of at least one of the broadcast outlets. Find Out Florida works because these are stories that we might not otherwise pursue. With the exception of an audience-generated traffic problem series in the local newspaper, no other local media outlet consistently asks its audience: What do you wonder? What should we investigate? With newsroom staffing issues through the second half of 2016 and into 2017, we had to prioritize the feeding of the daily beast. For nearly a year, we had no sustained Hearken effort, and few of the local public’s questions received answers. 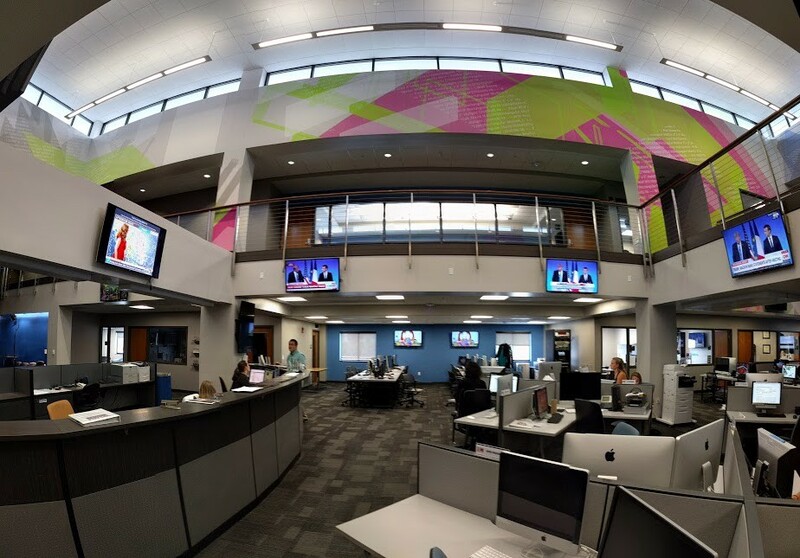 Our newsroom: The Innovation News Center at the University of Florida. Summers in Gainesville are often slow for news, and so we made a conscious effort this May to experiment during these months with better and more consistent audience-powered journalism. We rededicated Find Out Florida as a weekly feature and made it an integral part of our podcast and morning newsletter. Without missing a beat, people in our community have kept the questions coming, and this time, we’re offering them more answers. As with other enterprise or feature story production workflows, I’ve found the best method is to start reporting the answers to four or five questions at once. Every month, I’ll scan the list of audience curiosities and pick out the most viable. As the reporting process heats up, we see which ones are done baking first. Those are published. Sometimes, there’s a news hook for a story, sometimes there’s not. Sometimes, the news hook will fade and come back, as was recently the case with a question about the wisdom of school districts using Social Security Numbers as student identifiers. We received the question from an audience member in the midst of the 2016 kindergarten round-up period and began reporting the answer in earnest a month before the 2017 sign-up season. 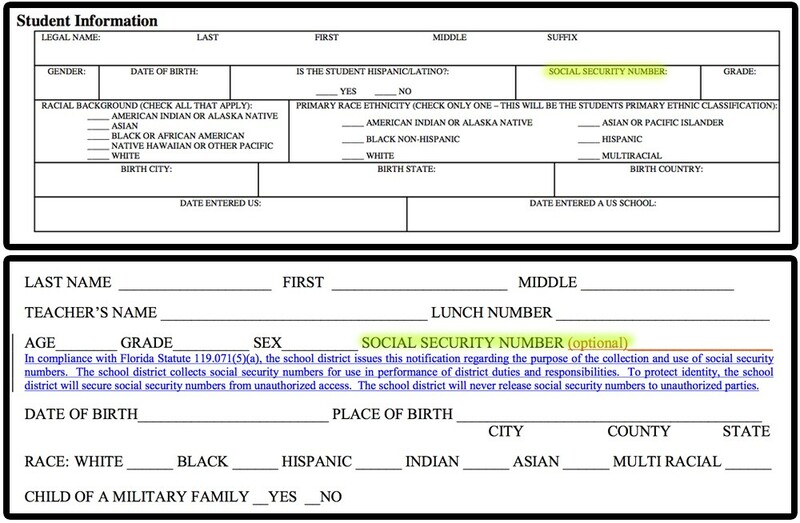 Because of an audience question, we found out different school districts disclose different information to parents and students when collecting a child’s Social Security Numbers. At least one local legislator said he wants to examine the practice during the next legislative session. Same goes for ongoing stories that benefit from periodic updating, like last week’s story on a cattle ranch’s proposed water usage. Soon, we plan to follow up on a reader’s request to see what’s new with a controversial land development that has fallen out of the news cycle. The goal continues to be publishing answers every Friday, and with more than 50 questions in reserve, there’s enough to keep us busy for a while. This approach​ offers limitless and publicly-supplied source of fuel to help the next generation of journalists find ideas.